Complexity or elegance in design or performance of a new diagnostic test does not automatically translate into the perceived value of the results. Companion diagnostics and multivariate tests are driving expanded interest in diagnostics, but demonstration of value and realization of anticipated product revenues takes significant time, resources and specialized expertise. Developers must consider how much effort will be required to demonstrate the value of their products to the satisfaction of those responsible for making purchase, payment or reimbursement decisions. This requires careful cultivation of leading experts, execution of well-planned clinical studies, often involving rare and otherwise very valuable clinical samples, and proof of utility using value metrics that are understood by the intended payers and other stakeholders. 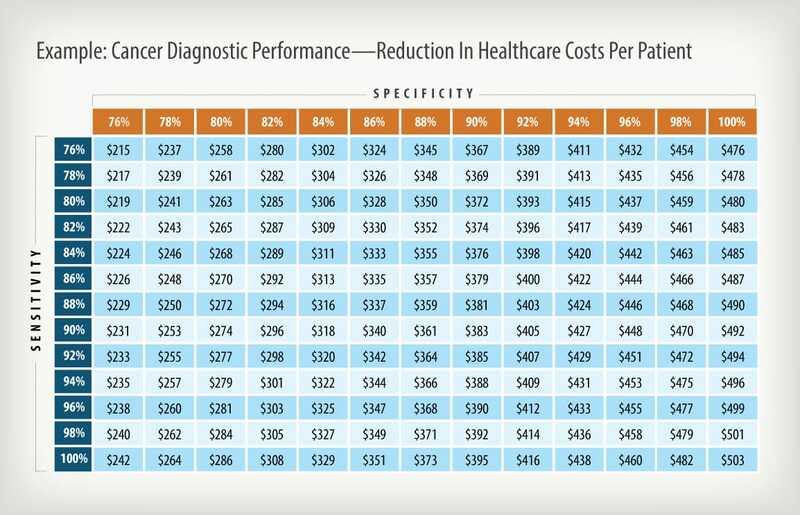 A thorough understanding of the potential impact of a new diagnostic product on healthcare costs and quality of life metrics will set the stage for defensible value-based pricing and development of a reimbursement strategy. Properly designed impact analyses can be employed to model medical, health economic and quality of life impacts, addressing the particular needs of target payers and other stakeholders while also informing product performance requirements for developers. Impact analyses can take many forms, but properly done should include an understanding of the current practice of medicine, how medical practice and key cost drivers could be impacted by the use of the new product, and how variations in product performance could affect clinical and economic impact. Properly done, the final analysis will indicate whether deployment of the new product would be cost saving or cost effective if the product meets the intended use, how those savings might be realized, and by whom. Impact analyses can also be used to help establish product performance specifications, to aid in the design of clinical studies, and to obtain reimbursement endorsements from payers. Following are some example outputs from this process. Halteres Associates conducts quantitative analyses that assist a client to maximize the value of their diagnostic product by helping them to understand the potential economic and medical impact that product could bring and how that impact would effected by changes in the product’s performance criteria. Improvements in product performance can help to drive down healthcare costs. 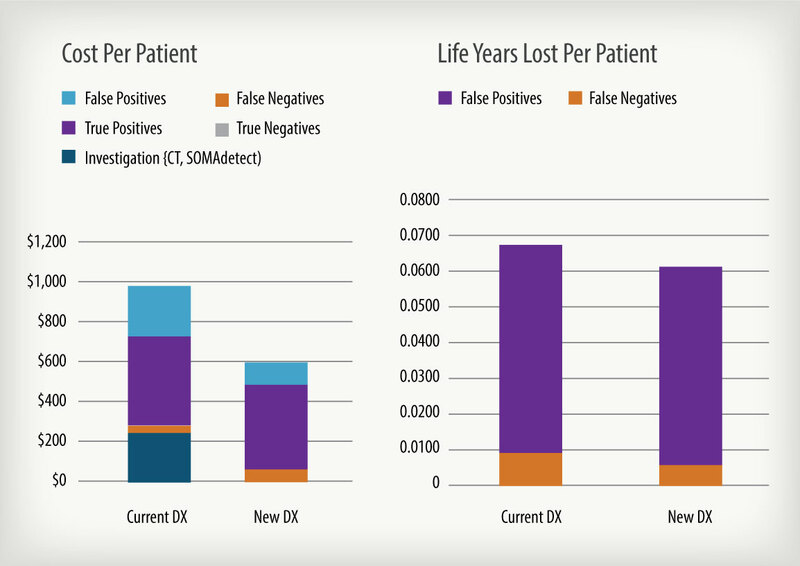 Medical cost and quality of life impact before and after implementation of new diagnostic.